This client’s taste was more modern compared to than that of her friend, whom I also worked with on an identical unit in the same building. 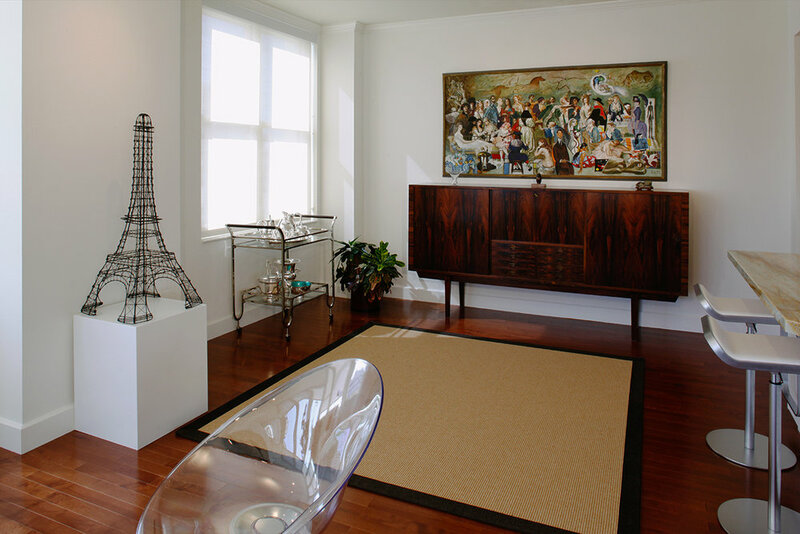 We started from scratch in this condo; the client wanted all new furnishings to fit the space and her eclectic tastes. 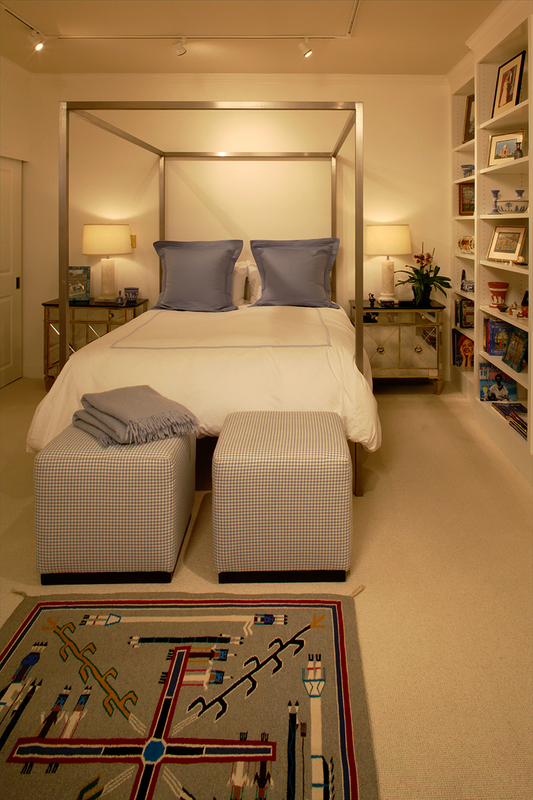 We incorporated her love of Navajo rugs, Southwest accents and modern furniture.